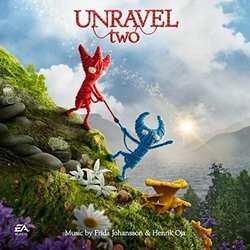 Lakeshore Records in partnership with EA Games is excited to release the soundtrack to Unravel Two™, a new adventure game by Martin Sahlin, the creator who brought us the first Unravel game! The album features music by Frida Johansson and Henrik Oja. It’s a platforming adventure game seen from a unique perspective, or two. Play as a pair of Yarnys – small beings made of yarn and connected by a single thread – in local co-op or as a single player. Run, jump and swing through platforming puzzles, foster friend.